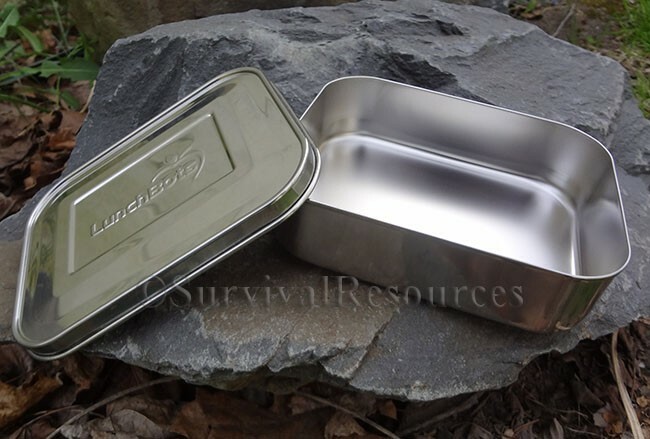 This is one of the most substantial stainless steel containers I have found and is perfect as a large or extra large survival tin! 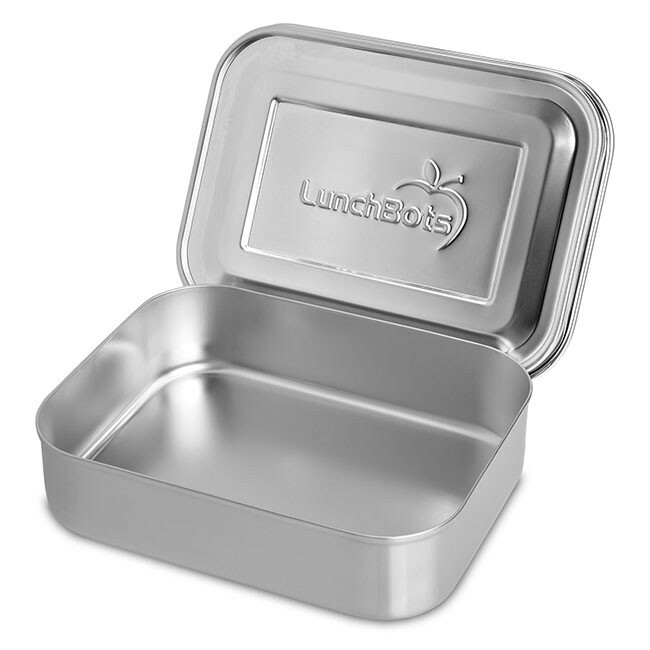 Made of the highest quality 18/8 stainless steel, it is easy-to-clean, and virtually unbreakable. 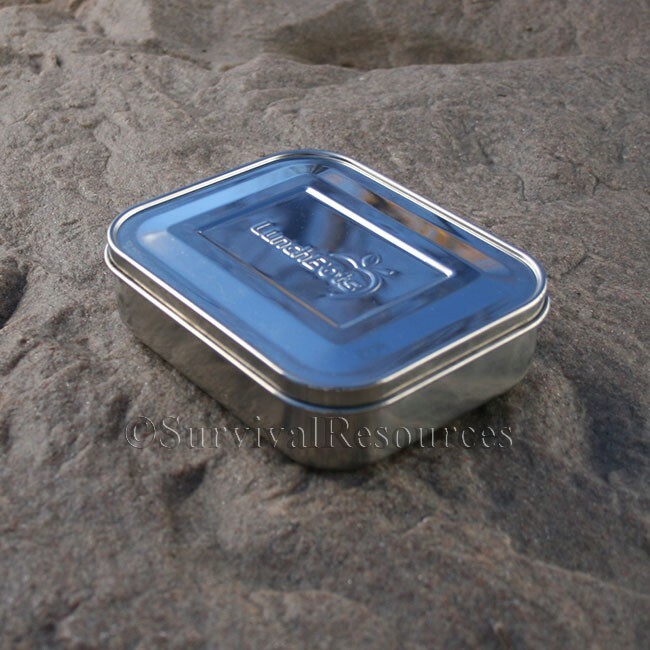 Both the lid and bottom have rolled edges, so not sharp edges. 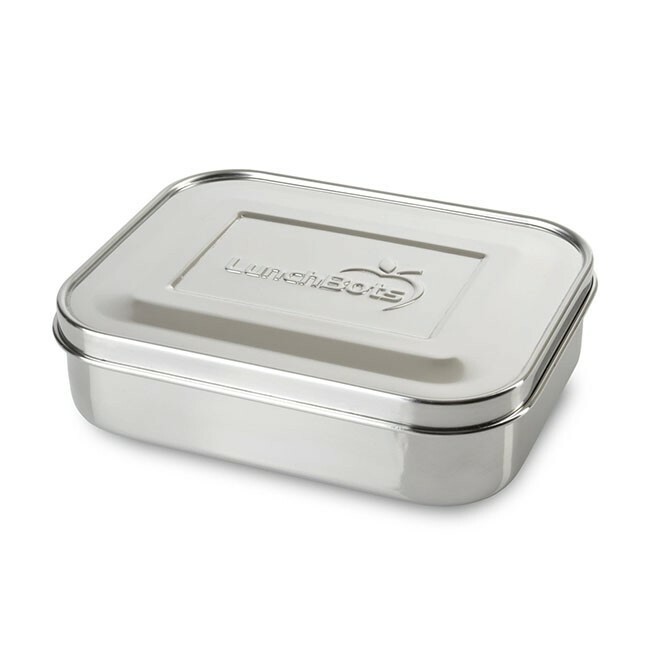 The lid does not seal watertight, but snaps on very securely. 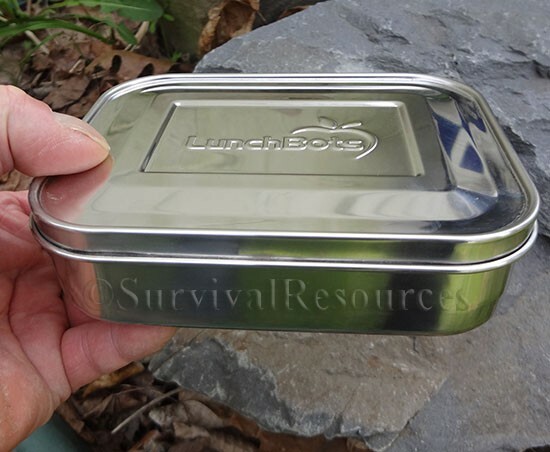 As with many tins, you can tape the edges when used as a survival tin. The small measures 6-1/4" long x 5" wide x 1-5/8" deep, overall. The actual measurements on the inside of the bottom are 6" x 4-3/4" x 1.5" deep. It weighs 8 oz. The large measures 8-1/4" long x 6-3/8" wide x 1-5/8" deep, overall. The actual measurements on the inside of the bottom are 8" x 6" x 1-9/16" deep. It weighs 12.2 oz.Again, these are very sturdy containers!